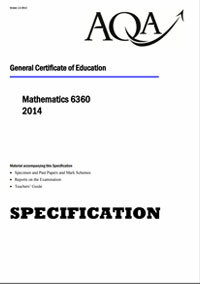 A-level Pure Maths provides students with a thorough grounding in the mathematical tools and techniques often needed in the workplace. The logic and reasoning skills developed by studying A-level Pure Maths make sure the qualification is widely respected even in non-mathematical arenas. A-level Pure Maths is made up of a subset of units available for A-level Maths. The AS is made up of three compulsory units: MPC1, MPC2 and MFP1. The A2 is made up of five compulsory units: MPC1, MPC2, MPC3, MPC4 and MFP1 and one additional unit from MFP2, MFP3 or MFP4. All units are of equal weighting and are assessed by an exam of 1 hour 30 minutes. A-level Pure Maths provides the techniques in Algebra, Geometry, Trigonometry and Calculus that form the fundamental building blocks of further study in a variety of subjects including Science and Engineering.